Looking for romantic things to do in the Blue Mountains? You’ve come to the right travel blog! Here’s Blue Mountains 5 Romantic Things to do! Whether it’s hitting the slopes or wine tasting with the love of your life, there are many romantic things to do in the Blue Mountains region! Check Out: Romantic Getaway to Blue Mountain | How much does Blue Mountain cost? If you’re up for snowshoeing & wine tasting, see my next point below! If you’re only into wine tasting, continue reading. In terms of romantic things to do in Blue Mountain, there’s nothing more romantic than wine tasting! Wine tasting is an experience not to be missed as a couple. My boyfriend and I had the most amazing time sampling locally-made wine and pairings on Valentine’s Day at the Georgian Hills Vineyards. The local winery was amazing, friendly, generous and accommodating. Wine tasting by a fireplace and looking at the beautiful winter scenery was a romantic experience we will always repeat when visiting Blue Mountain. Although snowshoeing and hiking involve exercising, the obstacles you overcome and views that you come across are one of the top romantic things to do near Blue Mountain. I highly recommend a 1-hour guided snowshoe tour near Blue Mountain in the Kolapore Uplands Wilderness Area on the world-renowned Bruce Trail with Free Spirit Tours. After snowshoeing, you’re driven to Georgian Hills Vineyards to cosy up by the fireplace and savour four local wines paired with local cheeses – including wines made with apples – a very Canadian experience! If you’re restricted to exercising for a long period of time, I recommend going straight to Georgian Hills Vineyards where you can snowshoe quickly around their vineyards and then cosy up by the fireplace with a wine tasting. Surrounded by the mountains, you’ll have a lot of fun in the snow doing an activity you love. If you’re new to skiing or snowboarding, there’s nothing more romantic than bonding over learning something new together. Whether you’re a confident or first-timer skier/ snowboarder, the Blue Mountains offer slopes for every level. Need equipment? You can rent everything from skis to snow pants! Save on Lift tickets up to 25% when you buy online! If you don’t have time to plan ahead, you could always purchase lift tickets at rentals or guest services. If skiing isn’t your thing, you’ll love après ski! Blue Mountain has lots of drink specials for après-ski and live music weekly with weekend DJ parties throughout the Village! What better way to end the day by treating your partner to a romantic meal overlooking the slopes with a bottle of local wine! Or opt-in for room service if you’re planning to stay at the romantic Westin Trillium House! My partner ordered an in-room surprise including champagne, rose petals and chocolate-covered strawberries for Valentine’s day…two words, Fabulously romantic. What romantic things should you do in the Blue Mountains? Whether you choose to live it outside or watch the snow fall softly with a fireplace drinking wine, you will find many romantic things to do in the Blue Mountains. From relaxation to adventure, there are many romantic things to do in the Blue Mountains. 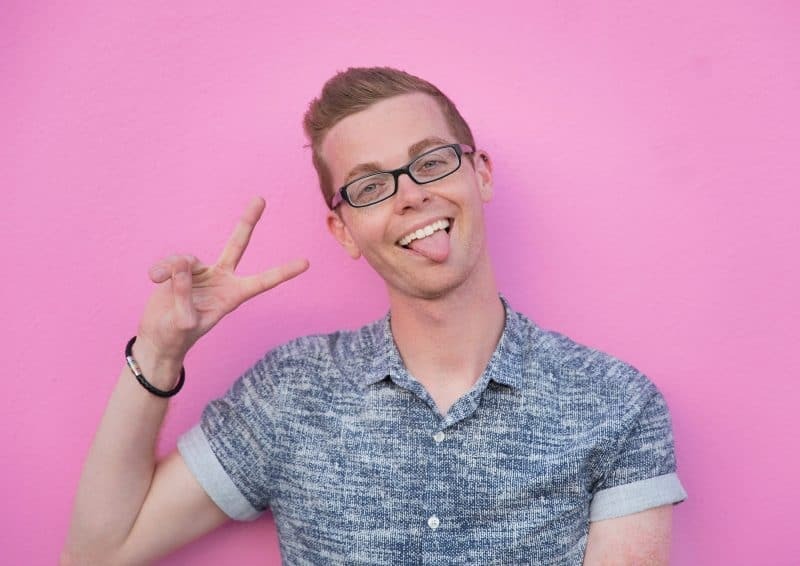 Click here if you’re looking for a gay-friendly guide to Blue Mountain! 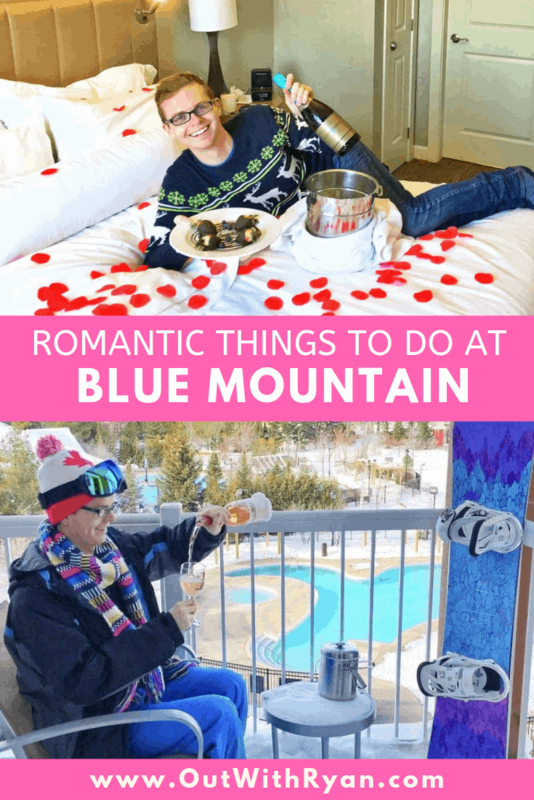 How to start your romantic getaway to Blue Mountain? Jump on the AUC Tours Blue Mountain Shuttle to help you get to and from the Mountain! With five pick-up locations in Scarborough, Vaughan and downtown Toronto, AUC Tours makes it easy and convenient to experience these romantic things in Blue Mountain every day. You can also take a Greyhound bus from Downtown Toronto to Blue Mountain! Ask me questions & see more travel photos & inspiration on my Instagram, Facebook or Twitter!